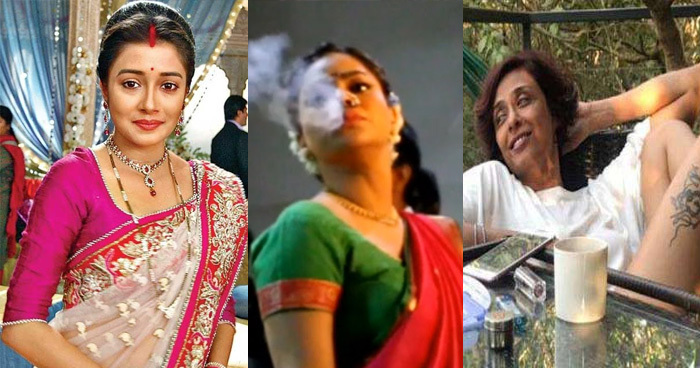 Watch few drug abused actresses from the Television world!! People act differently at different platforms. It very much holds true for our Television personalities. The on screen projected cultured “Bahus” are really not cultured in their real lives. They are addicted in various kinds. Check out the names of such TV Actresses. She had been one of the leading Actresses of small screen who is abused to drugs to an alarming level. Actress got fame after featuring into telly serial ” Utarain” is a chain smoker. To your wonder the on screen sanskari bahu Sara is not only a smoker but a heavy drinker too. After getting acclaimed from the comedy show of Kapil sharma Sumona has been caught smoking on the sets couple of times. Actress has started her career from the famous TV serial ‘ kyunki SaaS bhi kabhi bahu thi” is also a heavy smoker as well as a drinker. Few Heavenly made couples of bollywood!!! Sensational dance over the Bhojpuri song made audience’s go ga, ga!! !